The Puft-3d Embroidery Puffy Foam is being discontinued so get it while we have it. When it's gone it's gone. EnMart Puft-3d™ embroidery puffy foam is a colored foam used for creating raised 3D embroidery designs. 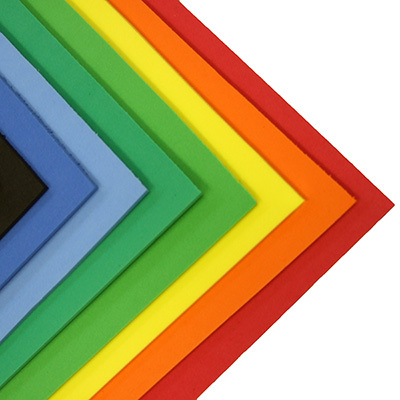 Our foam is available in 2 mm and 3 mm thicknesses and sheets are over 11" x 17". This embroidery puffy foam is water-resistant and machine washable, but is not recommended for dry cleaning and is flammable. Puft-3d™ embroidery foam is non-toxic. For information on embroidering with Puft-3d embroidery puffy foam, view our post on EnMart Embroidery Talk: Embroidering with Puffy Foam.